If you already have a StatWatch account, you can log in with your existing StatWatch username and password. If you do not already use StatWatch but do use SiteWatch, please contact the DRB Systems Support Team for help signing up for both StatWatch and IndustryWatch®. Please contact the DRB Systems Sales Team for more information about using SiteWatch, StatWatch, and IndustryWatch®. IndustryWatch® is a tool provided at no charge to existing StatWatch customers. 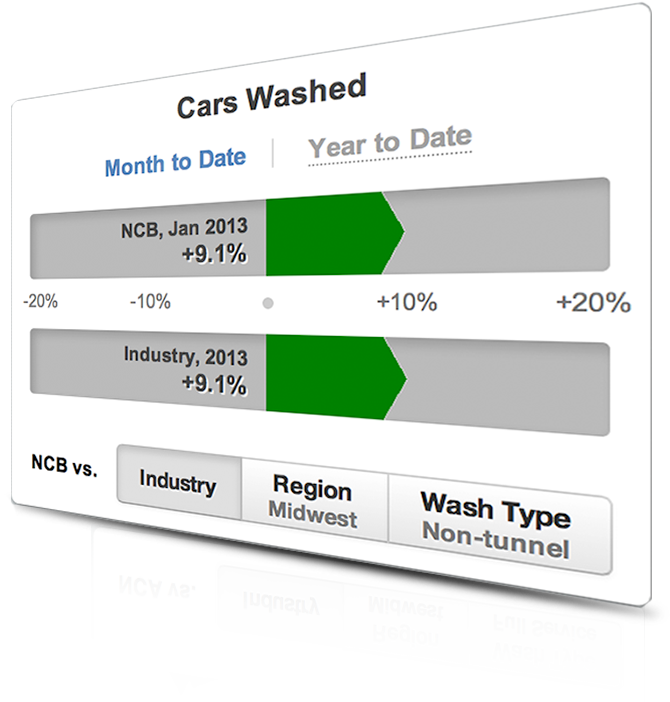 This service allows you to compare your wash's numbers to current industry averages and benchmark against your peers. Similar to the Dow Jones Industrial Average™ or the Standard & Poor's 500™, this index summarizes the weekly health of a sampling of 800 car washes across the country. StatWatch users can then compare their wash's car count trend against this index. 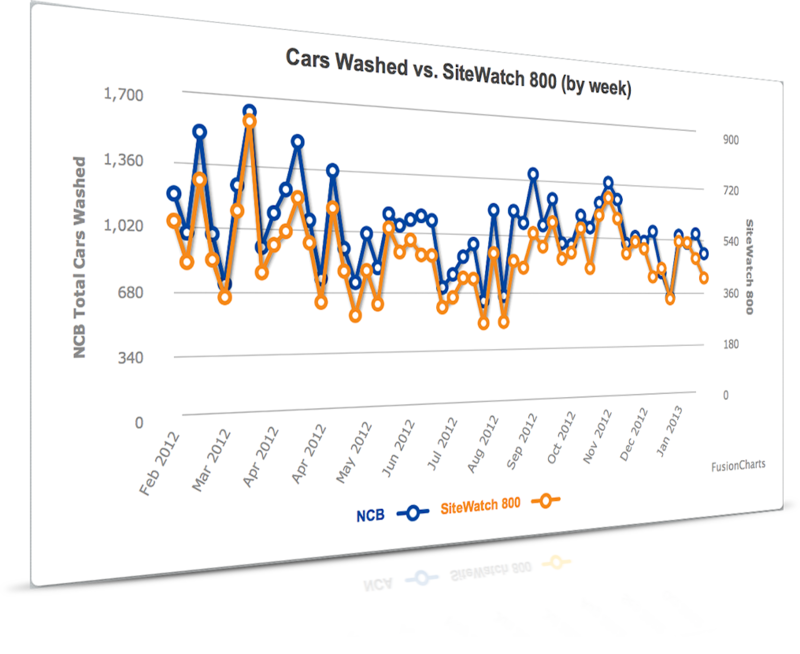 Compare your weekly trend in number of cars washed against the trend of the SiteWatch 800. If you have a multi-site chain, you can see these comparisons for each of your locations individually. View month-to-date and year-to-date car counts. Your site's % change vs. the prior year is shown above the Industry's corresponding value. 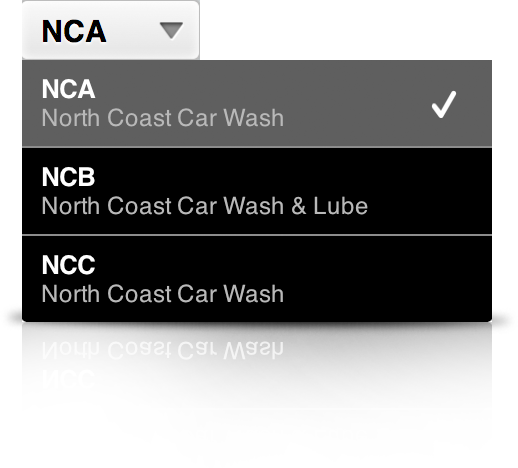 You can also compare against the average within your region or between other car washes of the same type. View month-to-date and year-to-date open day counts. 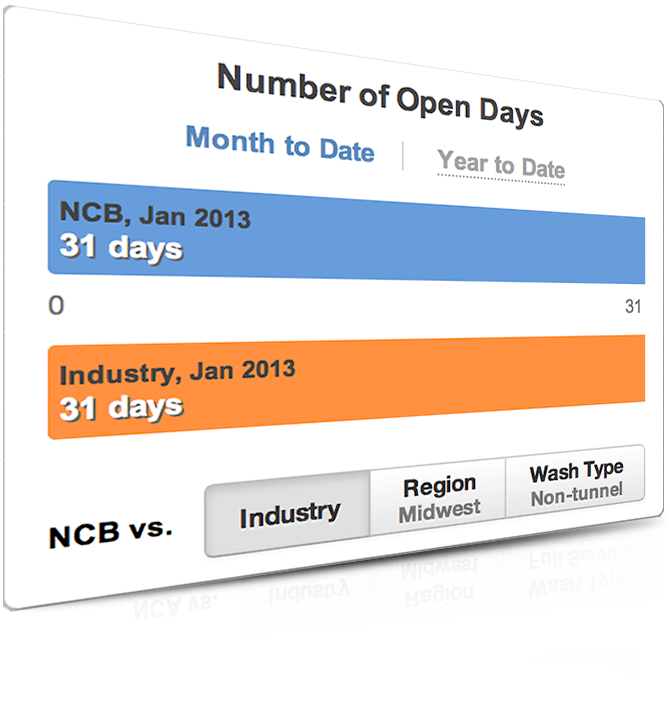 The number of open days for the current month or year is shown above the Industry's corresponding value. You can also compare against the average within your region or between other car washes of the same type.